Born in 1878 to an aristocratic Irish family, Eileen Gray is considered a leading practitioner of 20th Century Modernism. Gray moved to Paris after visiting the Expositione Universelle in 1900, where she was especially taken with the work of Charles Rennie MacIntosh.After studies at the Academie Julian, Gray relocated to London in 1905, where she learned the art of lacquerwork. This became the focus of her career for the next decade, as she went back to and worked with Seizo Sugiwara. Following WW1, her first complete project was an apartment for Madame Levy, for which Gray designed furniture, textiles and lighting, and unveiled her famous Bibendum Chair, a piece that exemplified her transition from Art Deco to the new style of Modernisme. This success encouraged her to open a shop called Jean Desert in Paris. By 1924 she had begun E1027, a house for herself and her partner, which is today listed as a French National Cultural Monument. Gray continued her practice with great success during the 20s & 30s, including another house for herself, Tempe a Paille, that embodied her friend and neighbor Le Corbusier's remark that "a house is a machine for living". In the years after WW2, Gray continued to work but became reclusive, and was largely forgotten by the design industry until a 1968 magazine article revived interest in her work. Her E1027 Table and the Bibendum Chair were subsequently licensed for production and quickly became modern classics, and in 1972 her Le Destin screen was sold by Doucet's for $36,000. 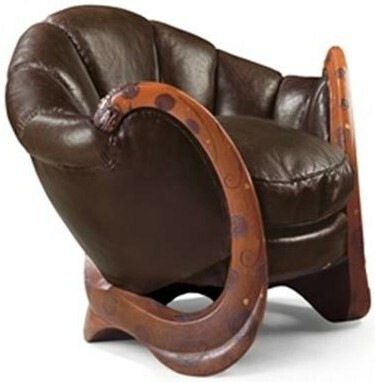 Gray died in 1978, restored to a place of prominence in the industry, and in 2009 an Eileen Gray Dragon Armchair (c.1917-19) sold out of the Yves St-Laurent estate for over $28million, a record for 20C decorative arts.